The two-day adventure that was the Honda Indy Grand Prix of Alabama finally concluded today. The race which started on Sunday was halted and eventually postponed to Monday due to heavy rain. 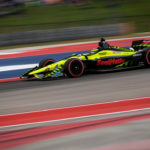 Sebastien Bourdais, who made his eighth start at Barber Motorsports Park, qualified the No. 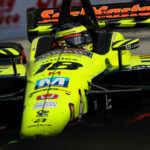 18 Team SealMaster – Dale Coyne Racing with Vasser-Sullivan machine a career best third on the 2.3-mile, 17-turn permanent road course. With heavy rain and possible lightening forecasted the start was pushed forward 27 minutes in an attempt to get at least one hour of running or 46 laps (half the scheduled distance plus one lap) to make it an “official” race. It was also declared a “wet” start which required all drivers to use the Firestone rain tires. When the green flag dropped to start the race, the rain, which up until then had been light, had significantly increased. After two yellow flags for cars that had spun, a red flag was flown due to the very wet, tricky conditions. 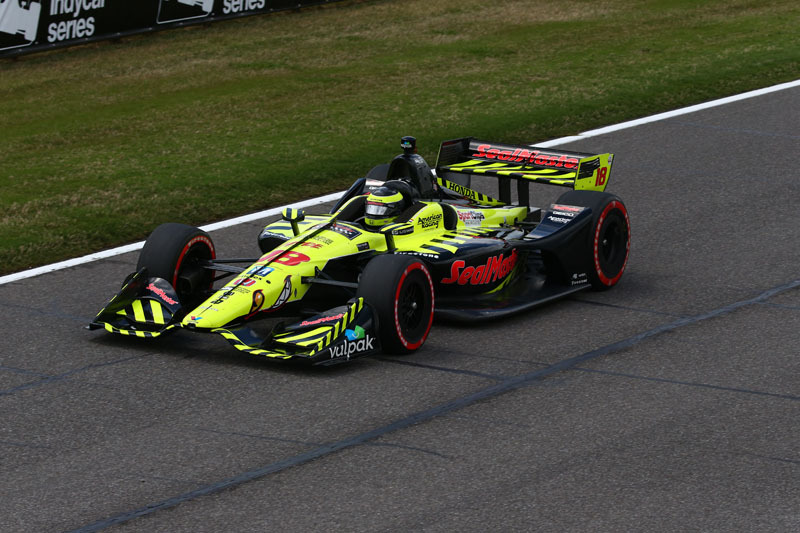 After a 37-minute delay, competition was resumed and on the restart Will Power hit a puddle, hydroplaned and Bourdais took advantage of the opportunity to duck under and pass Power for second place. Power spun bringing out another yellow flag, but a couple of laps later a second red flag was shown. After another long delay race officials concluded that weather and track conditions would not improve and postponed the contest approximately 15 minutes or 24 laps short of being an official race. 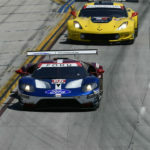 The race was restarted on Monday where it had been stopped on Sunday, working lap 23. The weather was cool and dry, but there was the possibility of rain late in the race. 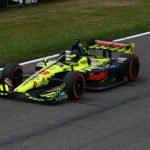 Bourdais restarted in second and held station despite saving fuel. 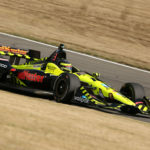 Race leader Josef Newgarden pitted on lap 50 and Bourdais, who stayed out longer than all but Scott Dixon, took over the lead making him the only driver to lead laps in the first four races of the 2018 Verizon IndyCar Series season. Bourdais pitted five laps later briefly dropping to third, but moved back into second when Dixon finally pitted. By pitting so late, Bourdais had enough fuel to finish the race and Newgarden did not. Light rain began to fall around lap 65 and got harder as the laps, and time, ticked down. Newgarden pitted again and took on fuel and rain tires, giving Bourdais back the lead on lap 72 of the 90 lap contest. With plenty of fuel the only thing that could stop him from winning the race was the rain…and it did. The team made the decision to stay out and not take on rain tires in the hope that the weather would improve, but it was not to be. 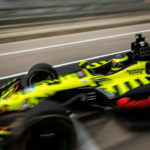 Bourdais pitted on lap 76 for wet tires. The stop was good, but with the wet conditions the pace of the race had slowed and he lost four positions on the stop dropping to fifth where he finished.